McALLEN — A federal judge sentenced a McAllen man to 10 years in prison for his role in a drug smuggling operation that moved cocaine through the county. Roberto Reyes-Aguilar stood before U.S. District Judge Randy Crane Tuesday morning during a sentencing hearing related to his role in a four-person indictment filed in November 2015. Reyes-Aguilar was charged with conspiracy to distribute a controlled substance and possession of a controlled substance in connection with an investigation that spanned about six months, court records show. 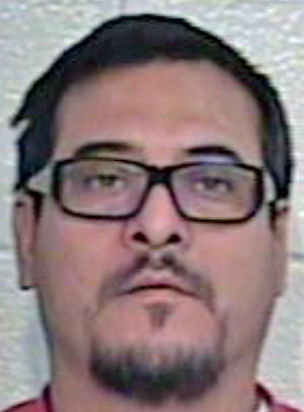 The 50-year-old man, who went by the alias “Viejo,” or “old man,” was arrested in April 2016 in connection with a federal investigation in which the government alleges Reyes-Aguilar conspired with co-defendants to distribute 8 kilograms of cocaine between April and about October 2014, the indictment states. Crane, based on the indictment and Reyes-Aguilar’s own admission to one of the charges last June, sentenced him to 120 months in federal prison. Flores-Gutierrez pleaded guilty to a drug distribution and weapons change. Lydia Cecilia Flores also pleaded guilty to the indictment, specifically to the conspiracy charge of the indictment. As part of the plea agreement, the government agreed to dismiss the second count against her, court records show. Flores-Gutierrez was sentenced to 120 months and 87 respectively with five years and three years supervised release on April 13, 2017, while Lydia Cecilia Flores was sentenced to a 46-month prison sentence with three years supervised release on July 11, 2017, court records show. Ramirez, who appeared before Crane Tuesday ready to be sentenced, had his hearing delayed and is expected back in court in late April. He pleaded guilty to two counts of a four-count indictment in February 2017, records show. Reyes-Aguilar, who does not have legal status to be in the United States, is expected to be deported upon completion of his sentence.